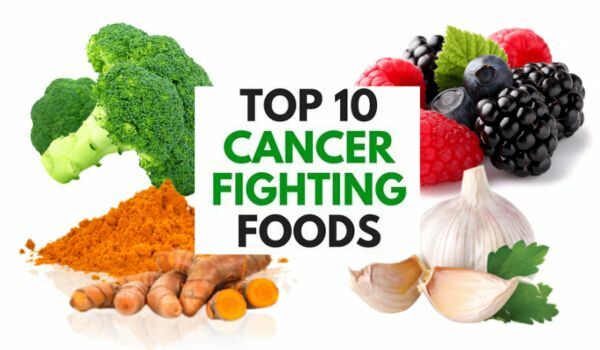 10 Cancer Fighting Foods That could Lower your Risk of Cancer: The kind of food that you eat determines many aspects of your health life which includes the risk of getting serious diseases such as cancer. A healthy diet can contribute to lowering the risk of this deadly disease. 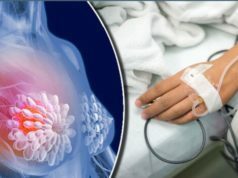 The development and increase in the cases of cancer is highly influenced by the kind of food a person consumes. 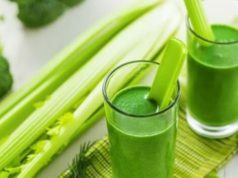 As cancer is one of the leading causes of death these days and it is still increasing mainly cancer of the liver, pancreas and uterine it is worth taking a note that many food items that are easily available can help in decreasing the growth of cancer. Instead of processed meats, sugary drinks, salty foods and red meat, try to include colorful fruits and vegetables in your daily diet as they have cancer fighting properties. Add some of these healthy food items in to your diet to prevent cancer and keep other diseases away as well. Tomatoes contain lycopene, which is an anti-oxidant that prevents many heart diseases apart from playing a great role against cancer. Tomatoes are rich in Vitamin A, C and E which fight against cancer causing radicals. They also protect skin from cancer by absorbing UV light. This super food contains sulphur compounds which help in stimulating the immune system’s response against cancer. Consuming garlic on a regular basis can stop cancer growth and it is found highly effective against stomach cancer as per scientific studies. In a recent study in China, it is found that by consuming raw garlic two to three times a week, you can reduce the risk of lung cancer by as much as 44 percent. Broccoli has sulforaphane which is a plant compound that has extreme anti-cancer properties. This vegetable is also abundant in Vitamin A and C. As per studies it is found that microwaving broccoli can kill its properties against cancer, so the best way to consume it is by steaming the vegetable. It is found in many studies that the higher the intake of broccoli is, the lower is the risk of getting colorectal and colon cancer. It is found that this super spice can block the spreading of cancerous cells and reduce tumour size. Cinnamon is popular for its many health benefits which include the ability to reduce blood sugar and easing inflammation. Also, cinnamon essential oil can suppress the growth of neck and head cancer cells. You can start by including half a tablespoon of cinnamon in your diet to prevent cancer. Watermelons are an excellent source of anti-oxidants, Vitamin, A, C and beta carotene. Additionally, they have lycopene which is the famous cancer fighting substance found in tomatoes. Eating watermelons regularly can lower the risk of getting lung and oral cancer. Nuts can lower the risk of certain types of cancer such as colorectal, pancreatic and endometrial cancers. In recent studies it was found that Brazil nuts can prevent the risk of lung cancer and mice walnuts can reduce the growth of breast cancer cells up to a great extent. It is a good idea to include a variety of nuts in your daily diet as eating greater amount of nuts is linked with decreased risk of getting this disease. Parsley is a super food which is used to prevent spreading of cancerous cells and against various health conditions. A plant pigment names quercetin is found in parsley which can inhibit the growth of cancer cells with the ability to act as chemo preventer. It contains many anti-oxidants and anti-cancer properties. Berries have many anti-oxidant compounds which protect the cells from any damage associated with cancer. They also boost the immune system and repair the damaged cells. Berries contain high amount of nutrients and anti-oxidants that create the natural process of maintaining the balance between cell death and renewal. Thus, berries can trigger natural cell death against cancer cells. It is found in the studies that raspberry and strawberry extracts are most effective against cancer cells. Also, black raspberries are rich in anthocyanins; a powerful anti-oxidant which can fight against diseases caused free radicals including certain types of cancers. Recent studies have shown that the risk of cervical cancer cell growth and tumour formation can be reduced by eating black raspberries regularly. Drinking green tea can reduce cancer risk as it is exceptionally high in anti-oxidants which can combat cancer by neutralizing the free radicals. In recent studies, it is discovered that green tea consumption has reduced the risk of oral, skin, colon prostate, stomach and lung cancer. The catechins present in green tea may stop growth of cancer cells and reduce the size of cancerous tumours. You can replace your normal tea and coffee with a cup of hot or cold green tea as it has many other health benefits as well. Turmeric Researchers have been investigating countless health benefits of this magical spice and it has show tremendous results in cancer treatments. Turmeric is popular for its health promoting properties and has been used from thousands of years for several conditions such as chest pain, toothache, infections, etc. The active ingredient in turmeric is called curcumin which has anti-inflammatory, antioxidant and anticancer properties. Studies have discovered that regular consumption of turmeric can prevent breast, stomach, lung, liver, and colon cancer. Turmeric also hinders the development of cancer cells by interfering with the cellular signalling. In some test tube studies it was found that turmeric can also kill neck and head cancer cells. For good results, you can take one tablespoon of turmeric with milk or as an added flavour to your favourite dish. It is also advices to add a dash of freshly grounded pepper to turmeric power in order to enhance the absorption of curcumin. Your diet can have a major impact on your overall health and the risk of getting cancer. 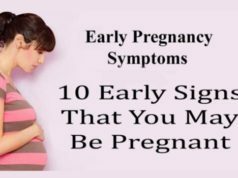 The good news is that by being a little cautious and including these simple food items in your routine, you can lower that risk considerably. Next articleWhat Happens To Your Body When You Control Your Breathing Every Day!